Raise your hand if you’ve already started working on Christmas projects for this year. 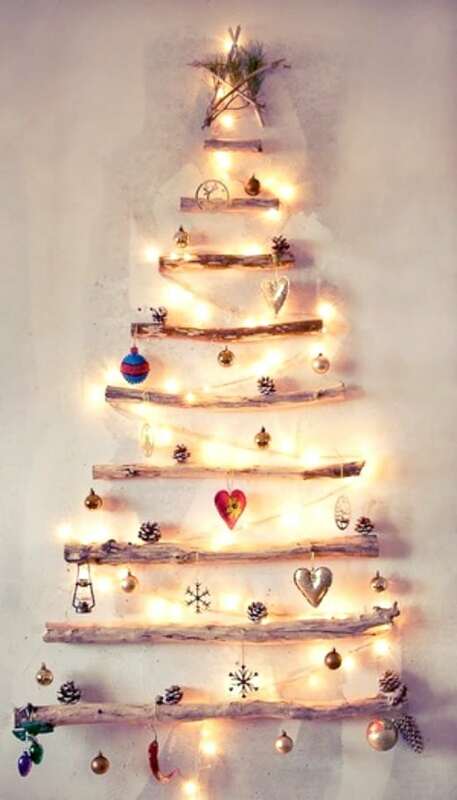 I’ve seen some really adorable diy Christmas trees around the web lately. Here are 5 to inspire you. Enjoy! 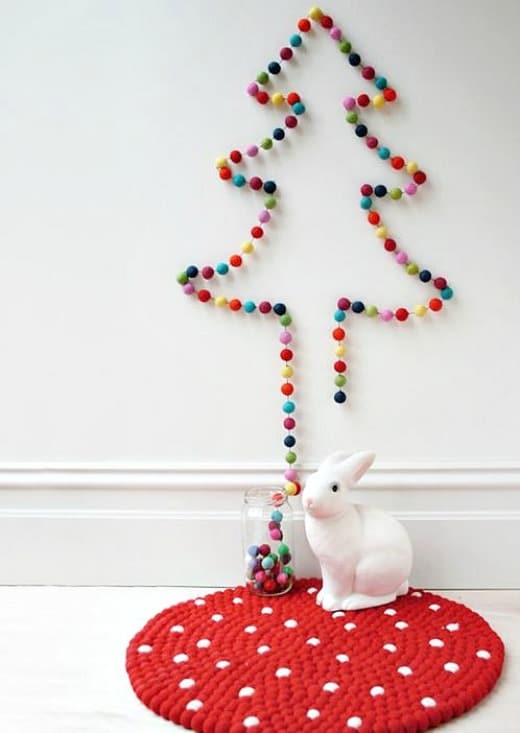 Turn a ready-made or diy pom-pom garland into the shape of a tree. For all of you pallet wood users out there. Glue torn bits of paper onto a piece of cardboard and tuck it into a bookcase. I’ll end with an over the top tree made by covering a foam shaped tree with vintage costume jewelry. Oooh how pretty! 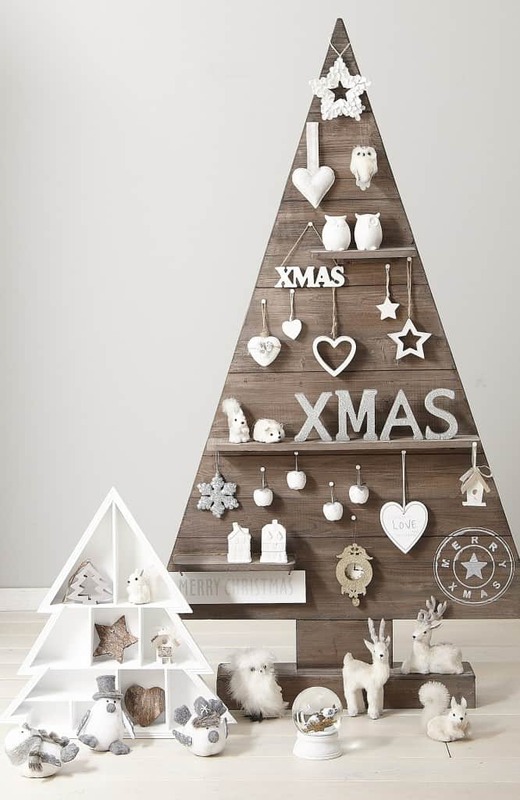 So tell me – are you in Christmas mode yet? Yes I am inspired. I think I’ll get my Charlie Brown artificial tree out of the closet and plug it in. That’s our Christmas tree. I love a Charlie Brown tree, Marisa! I need to get inspired since I need to decorate early for a blogger tour of homes! I feel like I’m selling out on Thanksgiving! I have a costume jewelry tree that’s made of my great grandmother’s jewelry and I love it – one of my favorite Christmas decorations of all time! Oh wow, so many really doable and fabulous ideas. Love them all. Thanks tons for linking to Inspire Me. I’d love to make one of the jewelry trees too, Kim. Good luck with yours! 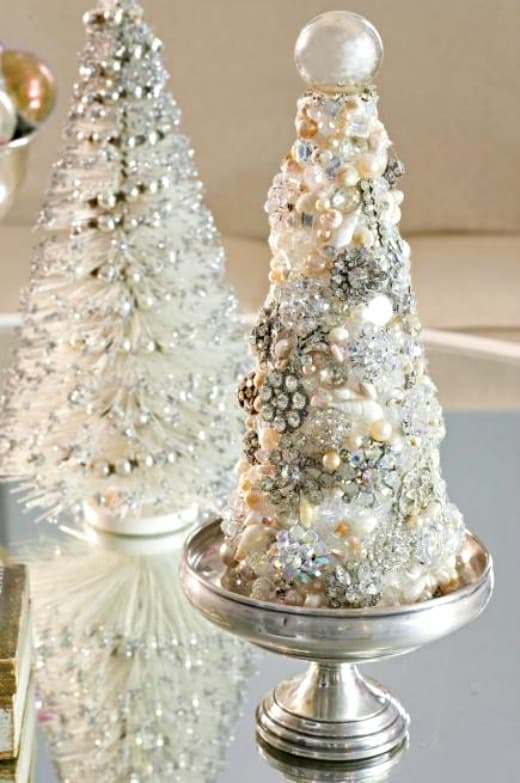 These are some awesome Christmas trees to inspire us. Thanks so much for sharing these! I’m glad that you found some inspiration, Christie. Thank you for stopping by! Hi Suzy.Thanks for your linking to our site. Just discovering your website… We love your inspiring ideas and projects. Best from Spain! I’m certainly NOT ready for Christmas yet. However, our calendar has filled up in just the last week or so. Still plan on doing the decorating the weekend AFTER Thanksgiving, but I have worked on a few projects (bleached pine cones) which take awhile to get the way you want. Love these trees though! Hugs from Florida! I’ve had Christmas on my mind, so yes, lots of inspiration. 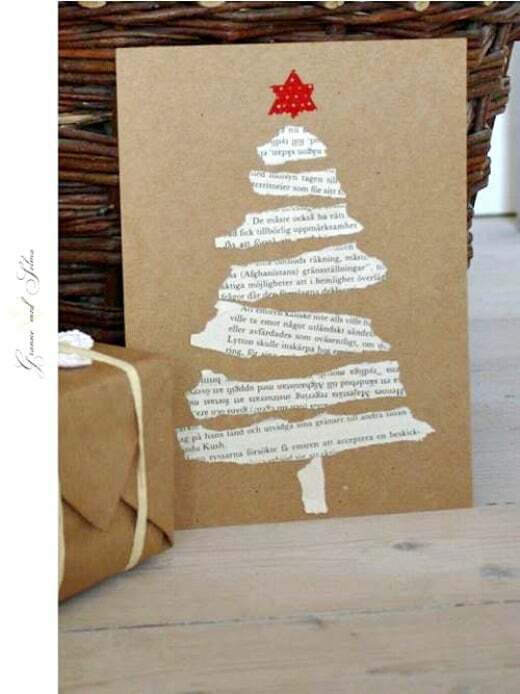 I was just thinking about my tree today so love the little tree from torn pieces of paper. I was thinking I could do this with my 6 year old grandson. Thanks.